The PAW Patrol is on a roll! Join the fun with Rocky's Rescue Racer! 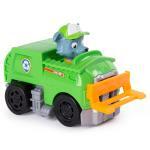 This little recycling truck brings all the excitement of Adventure Bay to your home. With Rocky already in the driver's seat, this racer is ready to go! 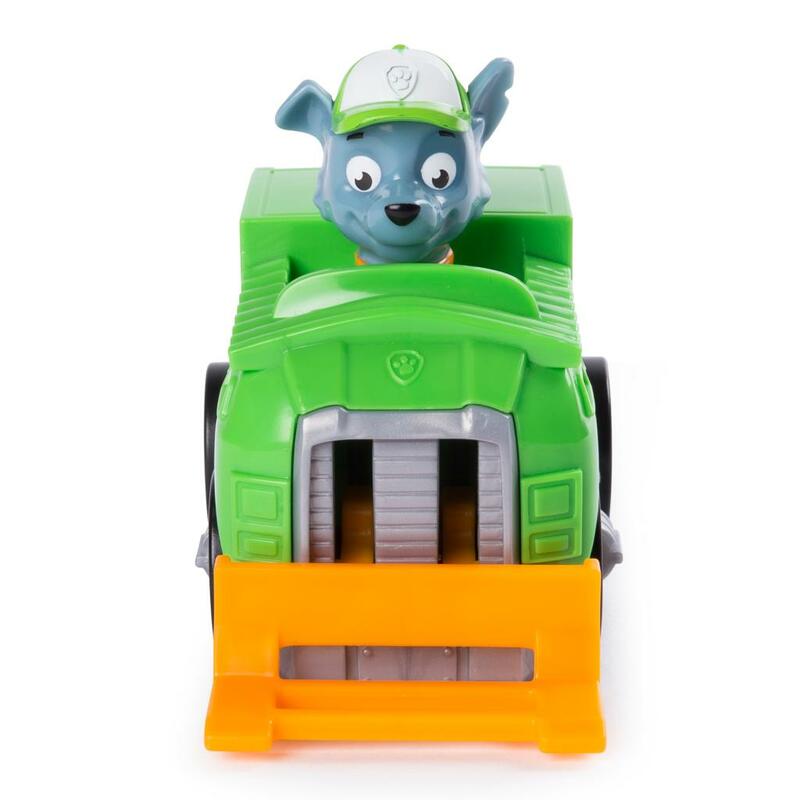 Use the real working wheels to race to the ruff, ruff, rescue! Push down on this head to activate the lift! You'll be able to move objects and save the day! For even more exciting missions, add the rest of the PAW Patrol Rescue Racers to your collection. What adventure will you go on next? 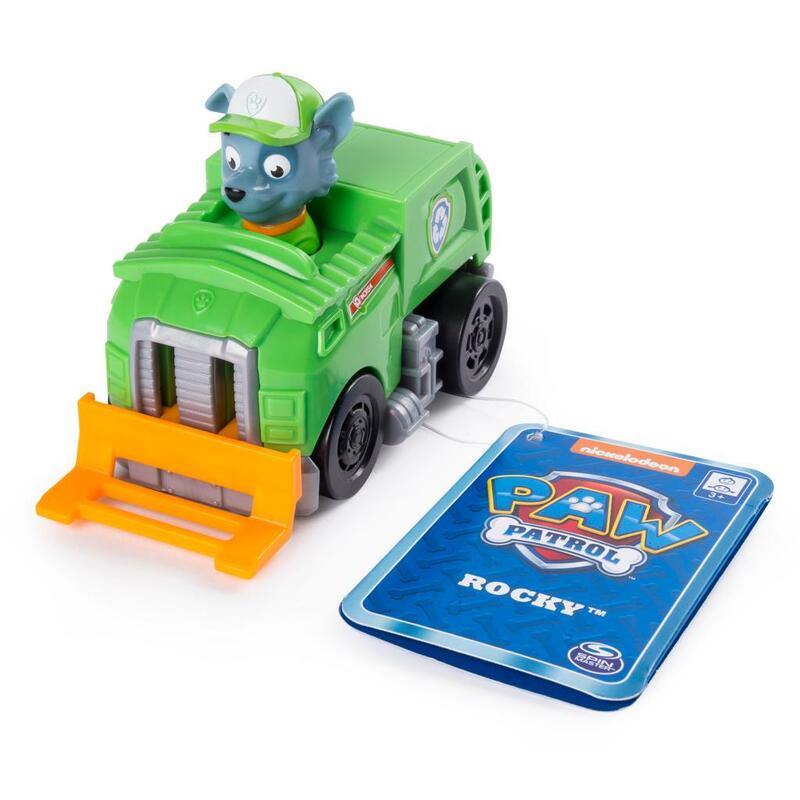 For hours of imaginative play, bring home Rocky's Rescue Racer! 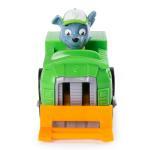 PAW PATROL TOY TRUCK: Race to the ruff, ruff, rescue with Rocky's Rescue Racer! Featuring authentic detailing pulled straight from the show, this toy recycling truck brings the excitement of Adventure Bay into your home! MOVING PARTS: Rocky's Rescue Racer features real working wheels and working lift! Push down on Rocky's head to activate the lift, move objects and save the day! Rocky's Rescue Racer is a great gift for kids aged 3+. Encourage your child to engage in imaginative play with this fun toy for kids!